Sparkle Works is Augusta, Georgia’s first choice for residential pressure cleaning and soft washing services. 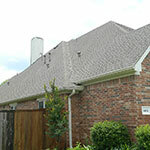 We specialize in low pressure soft washing, house bathing, gutter cleaning , and roof cleaning services. We are highly trained and educated professionals in the art of power washing and exterior maintenance services for your residential property. We keep the exterior of your home clean all year long! We are a fully insured and environmentally friendly pressure washing service that takes pride in our work and always strives for 100% customer satisfaction. Georgia’s humid climate causes mold, algae, and moss to grow on the siding of homes and roofs in Augusta. 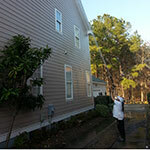 That is why Sparkle Works is here to remove the unwanted green and debris from the exterior of your property! Don’t let the algae grow on your home and damage your siding or roof! We have variable pressure and volume commercial grade equipment, so we never damage your home. Some jobs require high pressure while others require little to no pressure, Sparkle Works has the knowledge and expertise to determine which should be used to safely and effectively clean your home. Call Sparkle Works today for a free on-site estimate. Our hot and cold water cleaning equipment can restore your home to new again! 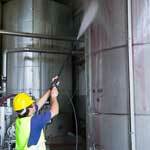 There is no job too big or too small for our power washing company. Why Choose Sparkle Works Power Washing! 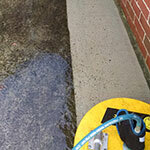 Sparkle Works is a professional licensed and insured power washing company started by the Smith family. We are owned and operated by a family of multiple veterans with a mindset focused on serving the needs of others. We provide outstanding service to our customers, both residential and commercial. We want our clients feel that they are loved and appreciated just as if they were a member of the Sparkle Works family. We are a member of multiple service industry associations, as well as being a member of the BBB, and we attend several conferences and schools throughout each year so that we are able to stay on top of the latest approaches and techniques. Our goal is to always provide the safest procedure to clean your home and exterior areas. Excellent customer service is important to us, and our current customers can verify that, we have a 5-star rating on Facebook and Google+ and we are the local Angie’s List “Super Service” award winner! We pride ourselves in giving our customers the very best in services, products, techniques and experiences – whether it’s a service for your home or just answering some questions you may have. Sparkle Works is always here to meet your needs! Traveling outside of our service area? If you are in the greater Houston, Texas metro area and are seeking a reputable power washer or roof cleaner then please visit our friends at Professional Pressure Washing Houston, TX for all your pressure washing and soft wash needs throughout that area.
" I will never use another pressure washer when I need them. Sparkle Works is just awesome!!!! " "The only reason I gave them an "A" rating is there is nothing higher to give them." My wife is often leery (with good reason) of folks that solicit business. With that being said, she has not quit bragging on the job that was done. She and I agree that the vinyl and the impossibly to get clean gutters are as sparkling clean as the day they were installed. One has to be impressed from the time they drove up with all the equipment on their truck and it was as clean as the outside of our home is now. We will surely use this service again. And, if I were them, I would have some type of file where they would send out a yearly reminder. I know that I would like one." "Honest, trust worthy, and professional. The best pressure washers I have EVER found. I had a quote from one company that was twice what Sparkle charged and for only the bottom portion of the house!! They are the only ones I will use from this point. Kudos!!" The importance of pressure washing in valuing a house. Why not pressure wash it myself?